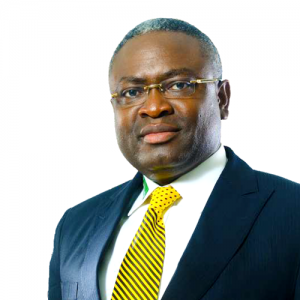 Oluwole Abegunde has varied experience in manufacturing, banking and the capital market. He has held positions in Brand Management, Credit Appraisal, Fund Management, Stock Broking and Capital Issues. He was General Manager of Investment Centre Limited, a subsidiary of Broad Bank Limited and worked with NAL Bank Plc from where he joined Meristem Securities Limited. He is the current Group Managing Director of Meristem Securities Limited and brings to the Board his widespread knowledge and experience in the capital and money market. Wole holds an MBA from the University of Ilorin and is a fellow of the Chartered Institute of Stockbrokers (FCS). He is also an Authorized Dealing Clerk of The Nigerian Stock Exchange.